Schedule your visitation with your loved one or friend online! 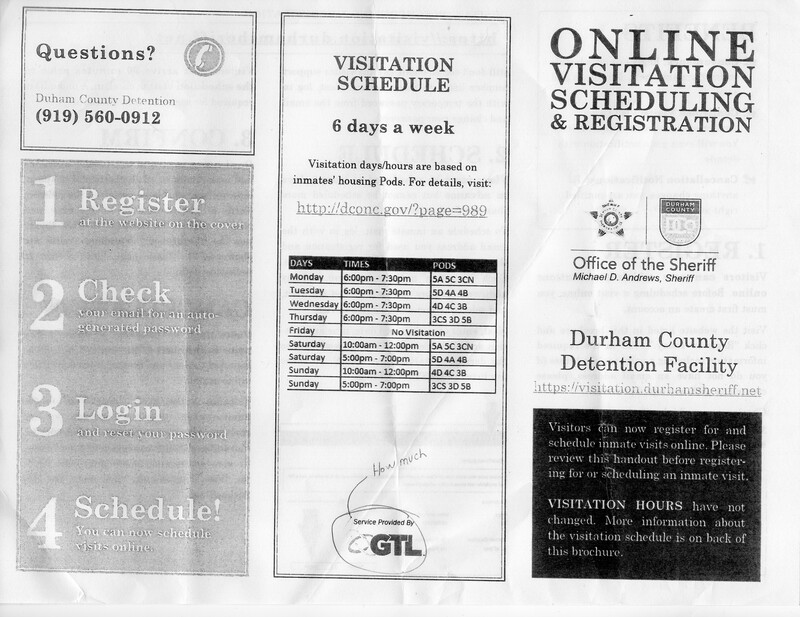 Check back for more reviews of this great new service, brought to you by Durham County Detention Facility. 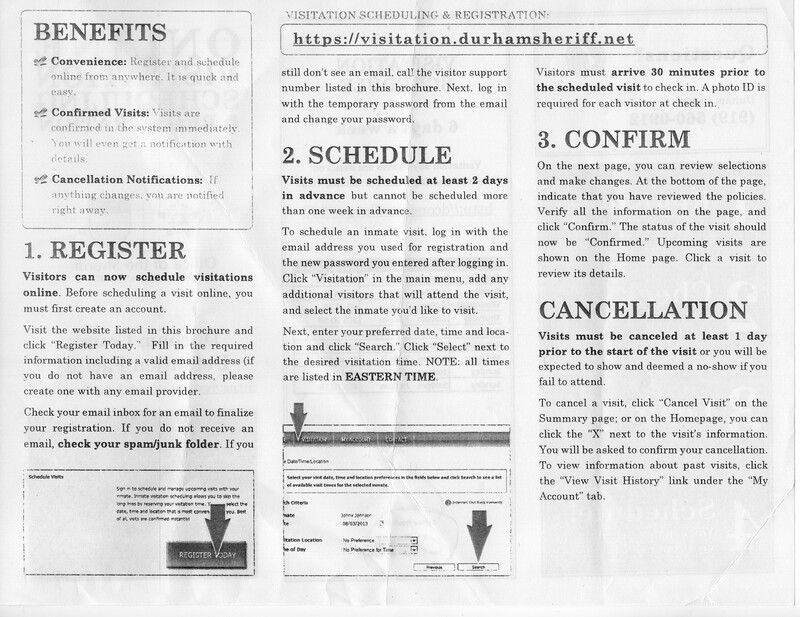 ← Call-in to the Durham Jail – DEMAND DIGNITY FOR HUNGRY PRISONERS!